Do You Chill After You Sweat? | Mega Mace, Inc. : Mega Mace, Inc. When Paula Radcliffe shattered the women’s world record for completing a marathon, she inspired a lot of runners, and a lot of polar enthusiasts. People took a big interest in her devotion to cold plunges as part of her training regimen. Taking into account that everyone has their own personal threshold to extreme temperatures, could everyone benefit from following in Paula’s footsteps? Doctors often recommend applying ice to tissue that is either currently swelling or prone to swelling, to reduce pain. That’s because cold slows the blood flow to an injury, thereby reducing inflammation that can cause pain in the associated nerves, tendons and ligaments. However there’s a big difference between applying a strategic ice pack and plunging the majority of your body into frigid water. For one there’s little chance of hypothermia with an ice pack. But the basic theory believed by cold therapy enthusiasts is that exposure to cold addresses the muscle microtrauma that occurs in intense or repetitive exercise (like practicing a tennis serve), and can constrict blood vessels, flush waste products, reduce tissue breakdown, and reduce post-workout soreness. That’s a lot of benefits — especially if the area being addressed is a pro football player’s knee or basketball player’s ankle. Coaches want to reduce swelling in areas packed with critical components that are difficult to repair: menisci, ligaments, tendons, cartilage, you name it. To that end, sports arenas and stadiums have state-of-the-art hydrotherapy pools that offer temperature adjustment to within a degree for optimal effectiveness and the individual athlete’s ability to remain submerged for the prescribed length of time. Then there is Wim Hof, the Iceman, whose ardent followers use his method of breathing, mental focus, and cold exposure to improve their physical health and immune systems. With twenty world records for everything from climbing Everest in only shorts and shoes, to swimming under polar ice caps, Wim posits that exposure to cold makes a body stronger over time even at the micro-level because the tiny muscles surrounding our veins contract when chilled. Ultimately his claim is that the veins of his devotees become healthier and their hearts can circulate blood with reduced force. 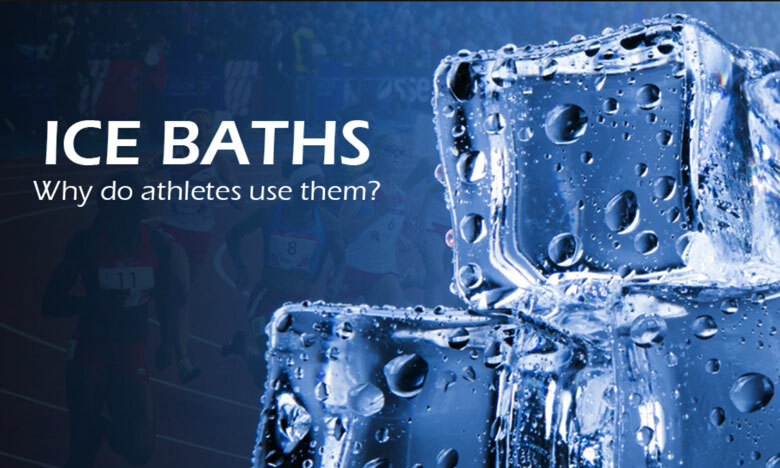 While cold therapy is becoming increasingly popular and accepted among athletes in a variety of sports, the method is controversial, with a risk of hypothermia, and the possibility of shock leading to sudden death. Generally research into the advantages of cold water immersion as part of an athletic training regimen is inconclusive, with some studies suggesting a mild benefit such as reducing muscle damage and discomfort and others suggesting that cold water immersion may slow muscle growth and interfere with an overall training regimen. Andy Schmitz, sports performance manager for usatriathlon.org says that while the jury is still out on cold plunges, he has some simple suggestions to keep those who are going to attempt it safe. In the end, if the benefits are feeling a little less sore, and more refreshed after a hot, sweaty and exhausting workout, it sounds like it’s worth finding the right temperature for you personally and giving it a try.